On 25 May 1954 photographer Robert Capa was killed when he stepped on a landmine while covering a French regiment’s advance at the Red River Delta in Vietnam. 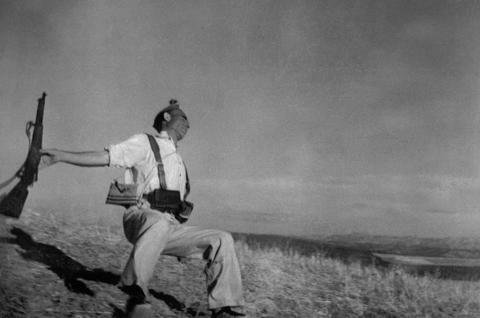 The incredible life and work of Robert Capa has often seen him lauded as the 20th century’s most famous war photographer. To mark what would have been his 100th birthday, the Atlas Gallery – the official UK gallerist of the Magnum photo agency, which Capa co-founded – will show images from the conflicts he covered and some rare printed works from the private collection of gallery owner Ben Burdett. In a relatively short career, Capa covered conflicts including the civil wars of Spain and Cambodia, D-Day and the Liberation of Paris, and the first Indo-China war. 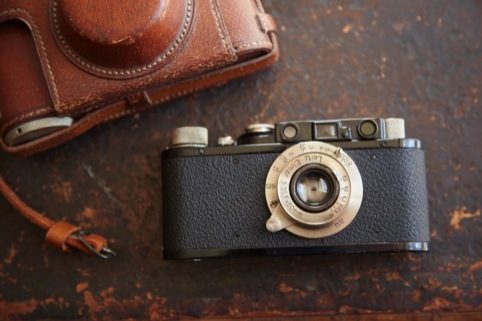 Capa’s Leica camera, which caught many of his early images, including his first – Leon Trotsky’s In Defense of October speech, made in Denmark in 1932 – will be on display. 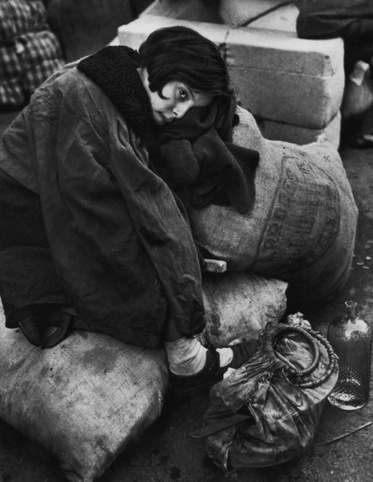 Born Andrei Friedman in Budapest 1913, Capa moved to Berlin at 18 where he worked as a darkroom assistant before the rise of Fascism in Germany took him to Paris where he struggled to establish himself as a freelance journalist. 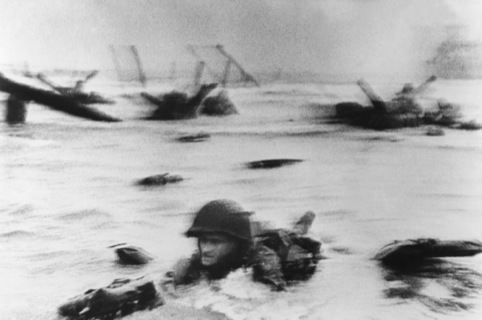 He became Robert Capa as it had a more recognisable ring to it and to sounded more American. 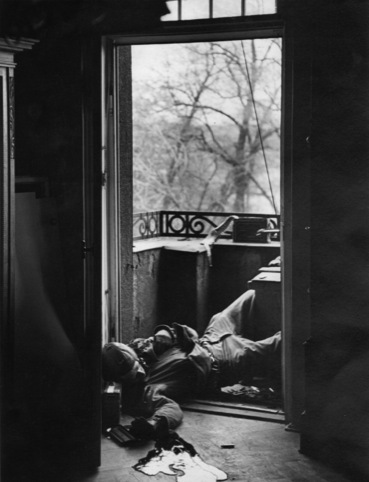 He captured his photograph of a Republican soldier as he is being shot, known as The Falling Solider. Although that single photograph came to represent the conflict, its authenticity is disputed and many thought the image was staged. In October 1939 he arrived in New York and found work with Life magazine. After working on a number of minor assignments he was sent to Mexico for six months to cover the presidential elections. When the US was drawn into WWII Capa worked in London, North Africa, Italy and France, photographing the Normandy landings and liberation of Paris. Then in 1943 he was posted to a battle front, joining a US invasion convoy in North Africa. On 8 June 1944 he was with the US Army for the Omaha beach Normandy landing and took 108 pictures in the first couple of hours of the assault. Later an accident in Life magazine’s London darkroom meant the negatives were melted and only 11 survived. Ten of these were printed on June 19, and captioned as ‘slightly out of focus’ owing to the ‘immense excitement of the moment’. 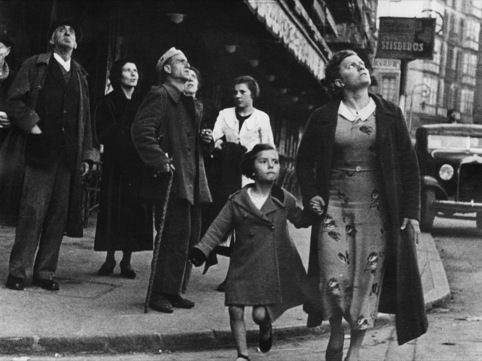 After Capa co-founded the Magnum agency in 1947 he covered the dividing up of Europe in 1948-50 and the birth of Israel. 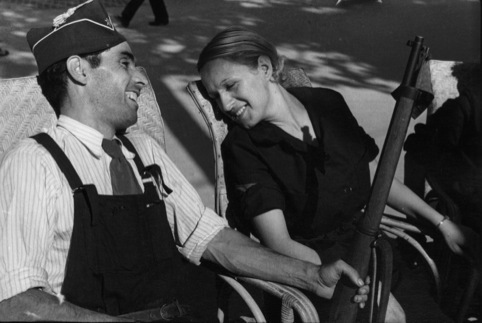 The photographs of Dmitri Baltermants, who was operating on the Russian front at the same time as Capa was reporting on World War II, will also be on display at the exhibition.